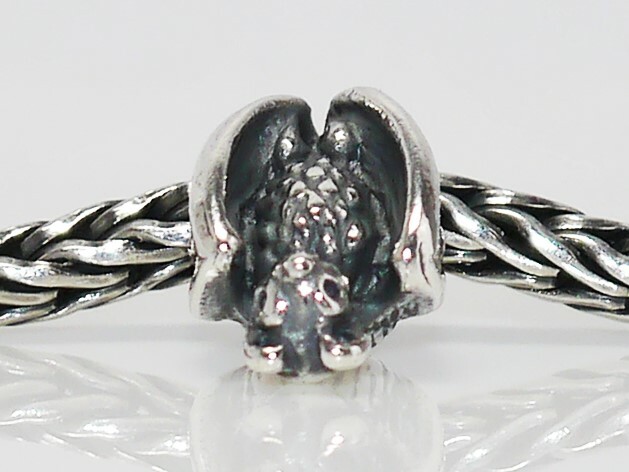 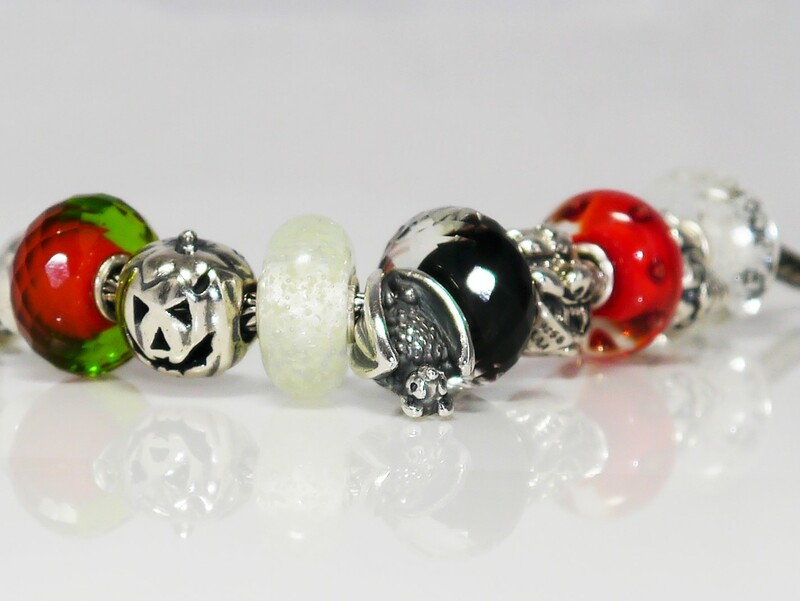 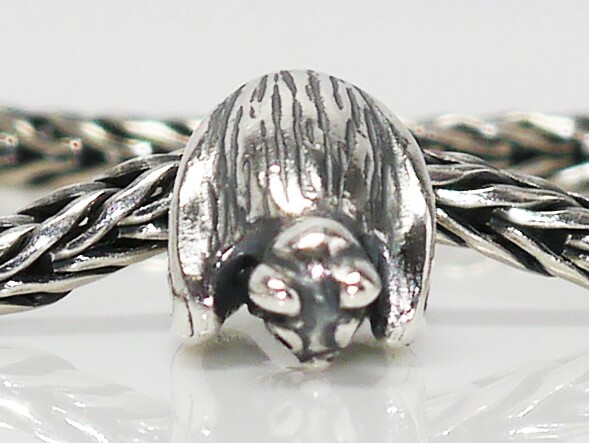 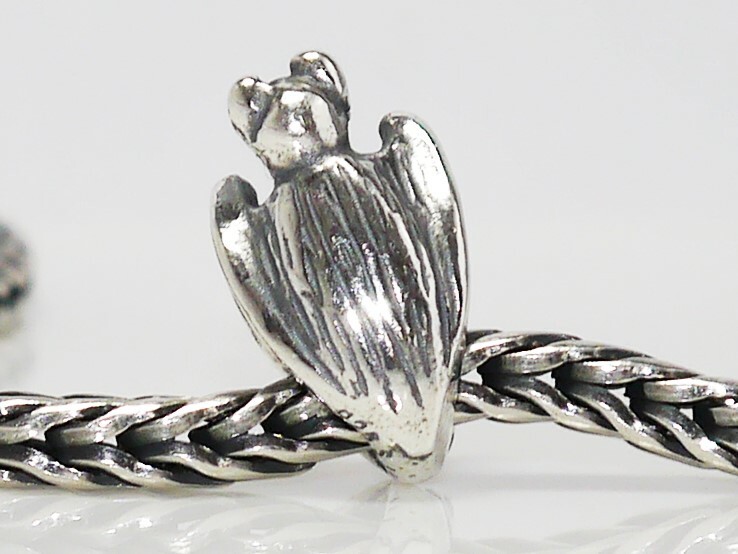 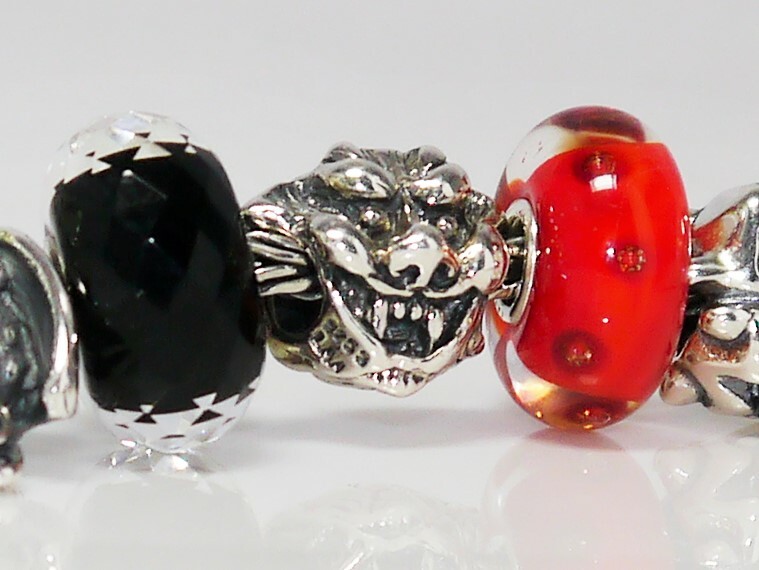 Today brings a review of Trollbeads Halloween 2014 release. 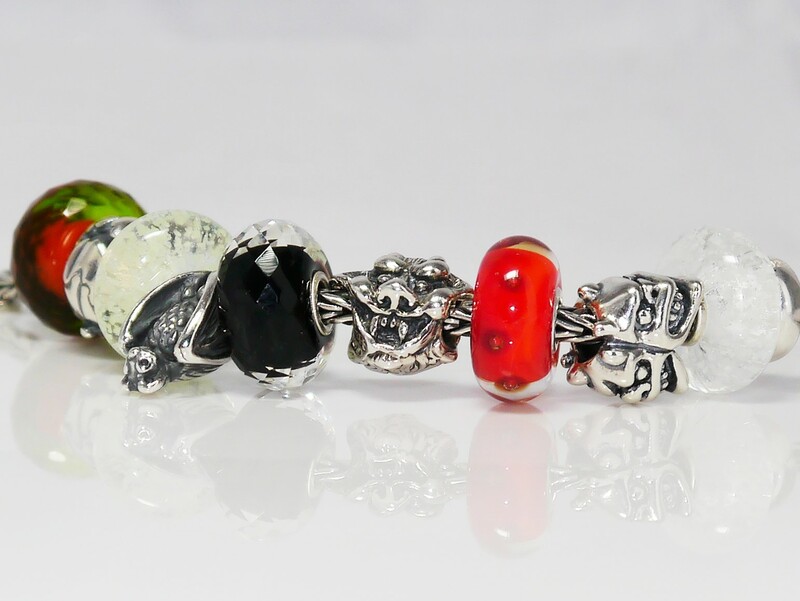 I was planning on doing this review nearer to Halloween, but with the upcoming previews of Trollbeads Christmas release, The Missing Peoples Bead and Gold – Love Art, I did not want these to distract from this fabulous Halloween collection. 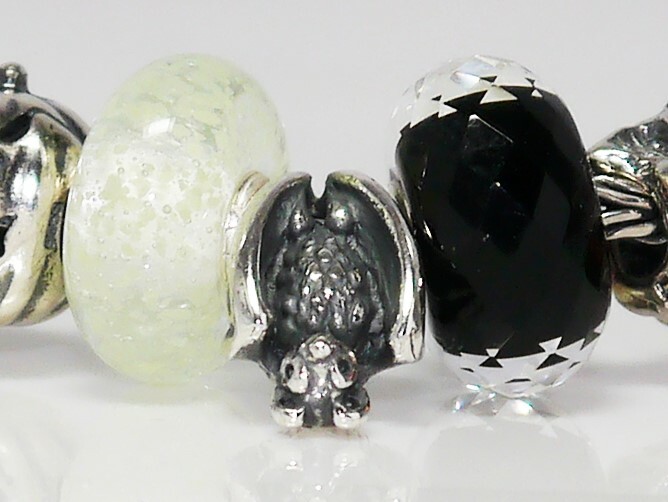 The Trollbeads Halloween 2014 collection consists of the Sleeping Bat silver bead, the Spooky Bats Lock and the Happy Bats earrings. 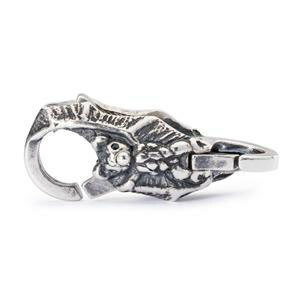 This lock is a perfect finishing touch to any Halloween bracelet. 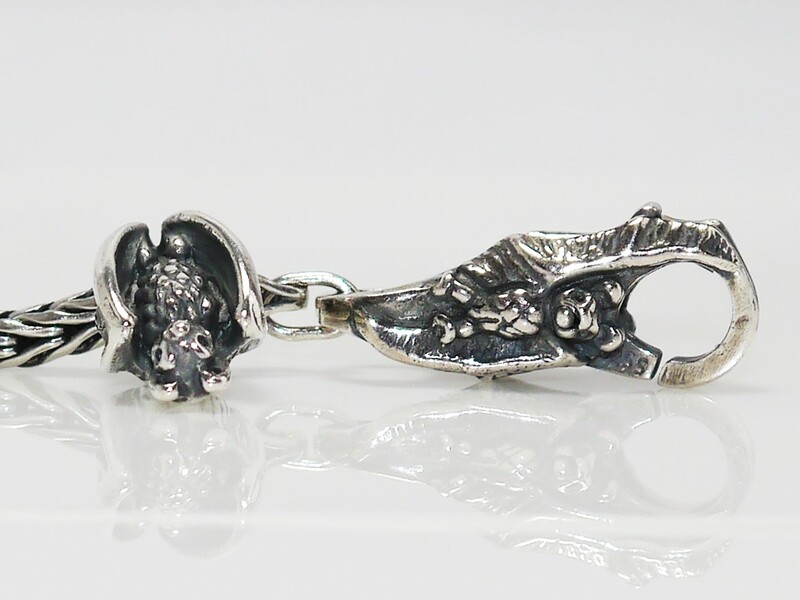 I love the wing detailing around the top of the lock, and the detailing of the bats face. 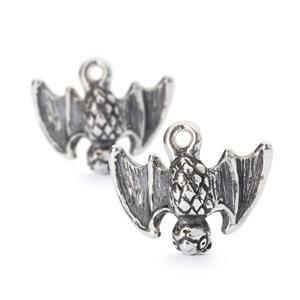 I did not indulge in the Happy Bats Earrings as they are not something that I would personally wear, and therefore do not have any live images. 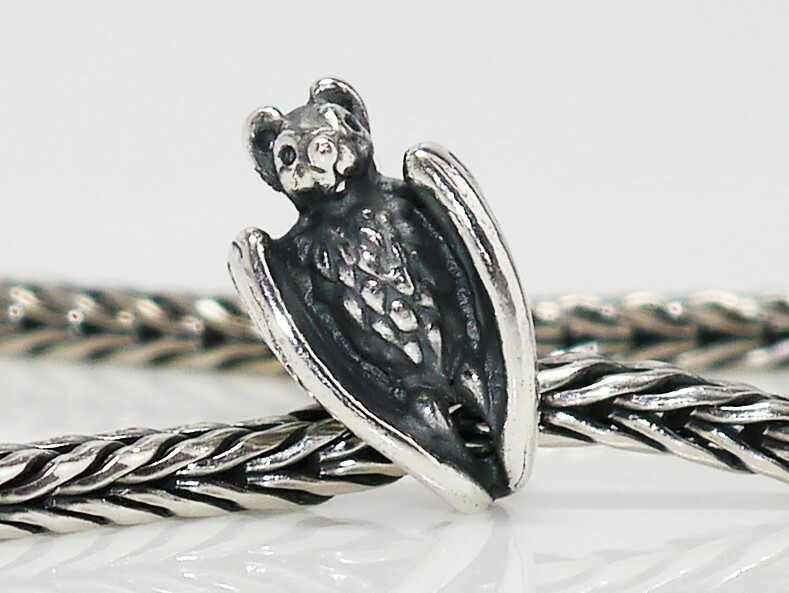 However, from the stock images, the bat detailing is much in line with that of the Sleeping Bat bead and Spooky Bats Lock, and so I cannot see anyone being disappointed. 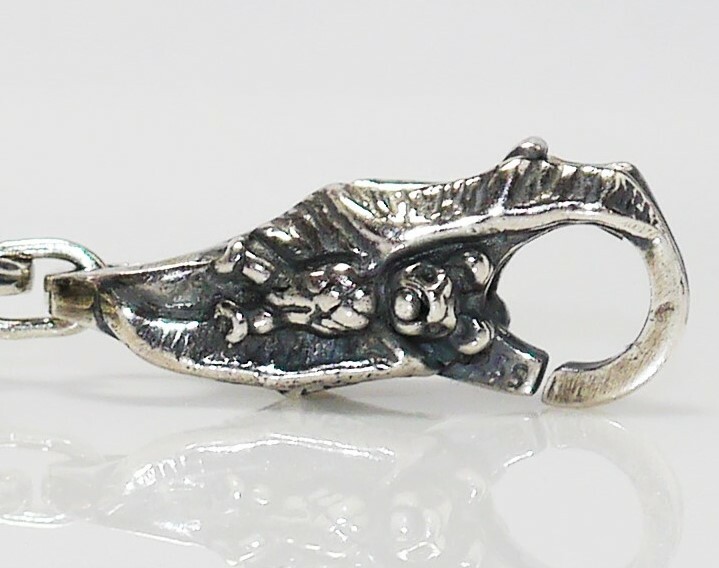 What follows now are some pictures of the Sleeping Bat being incorporated into my own composition of a Halloween bracelet. 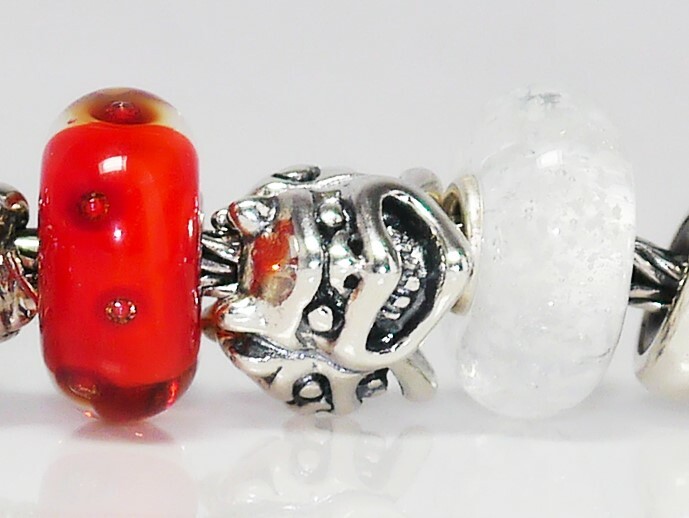 The Trollbeads I have used are as follows: ‘Masala Facet’, ‘Pumpkin’, ‘Inner Glow’, ‘Sleeping Bat’, ‘Sahara Night Facet’, ‘Angel & Devil’, ‘Autumn Foliage’, ‘Trollbeads Day Bead 2014’ and ‘Blizzard’. 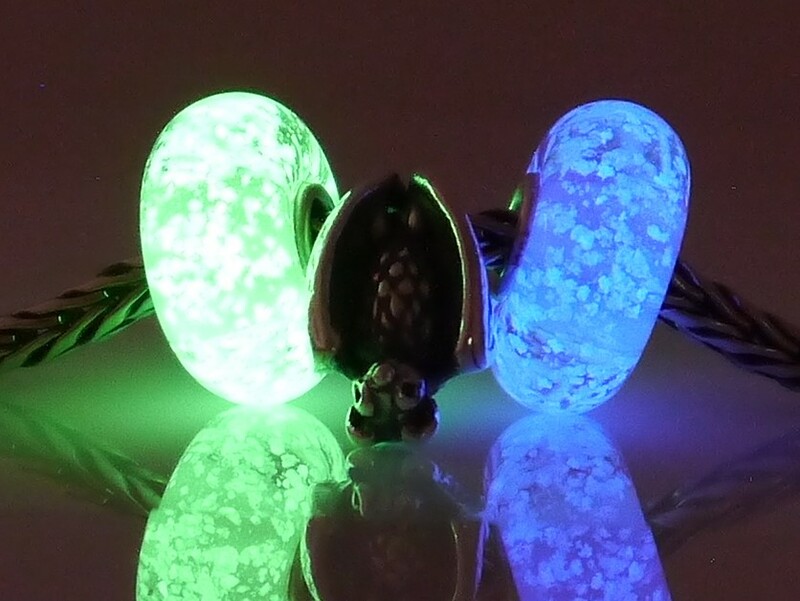 I think these pictures show just how versatile some beads are, how well old beads can be combined with new, and also just how well the glow in the dark beads really do glow!!! 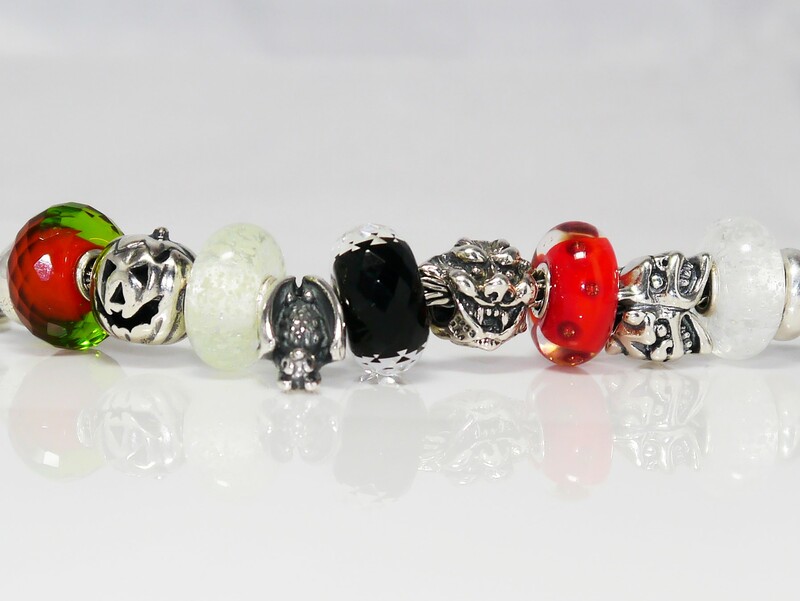 Trollbeads have confirmed a Halloween release for 2014, however it is set to debut on 5th September, the same day as Trollbeads Fall 2014 collection. 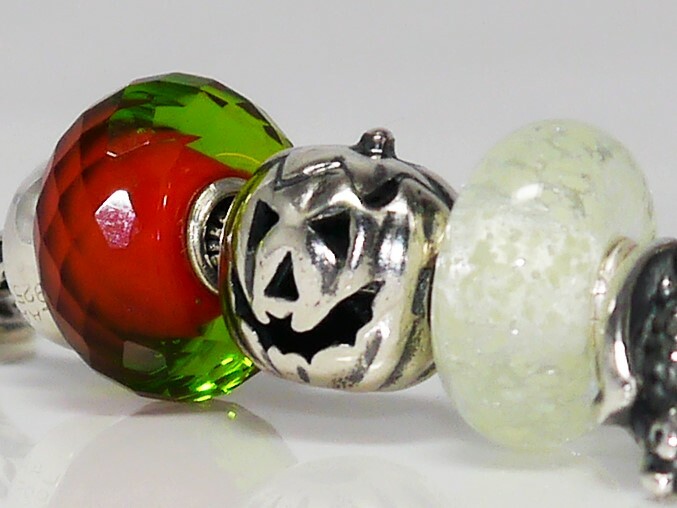 I think it would have been better to separate the releases, with the Halloween collection being released at the start of October, but I can only think it was set to coincide with the Fall collection release to allow space between those collections, the Peoples Bead 2014 and the Christmas release. 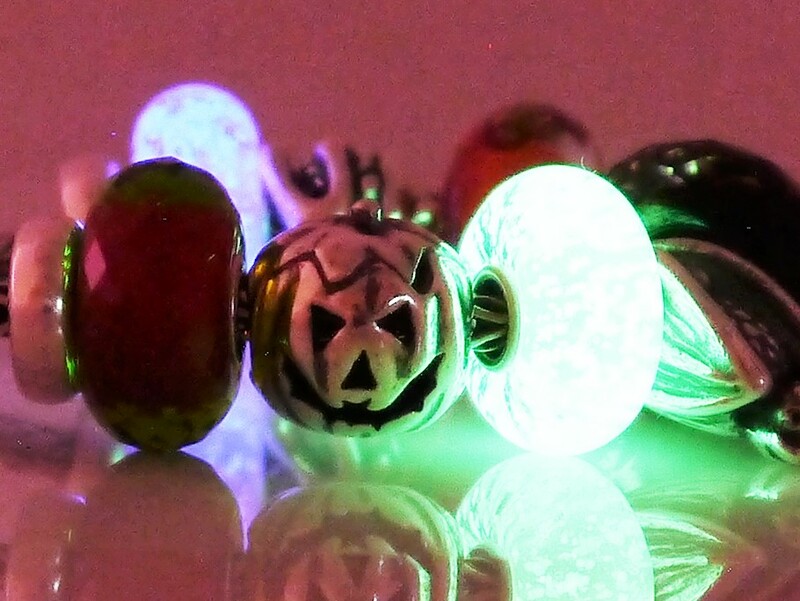 Dates aside, what follows is a preview of some great additions to Trollbeads existing Halloween themed beads. 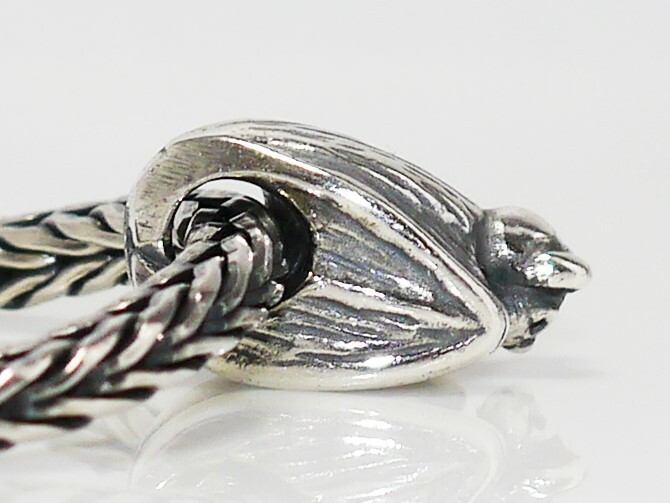 The release consists of one silver bead, one silver lock and a set of earrings. 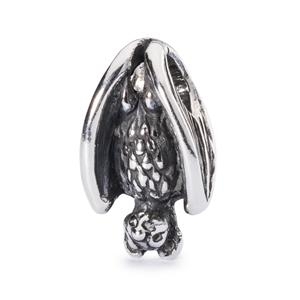 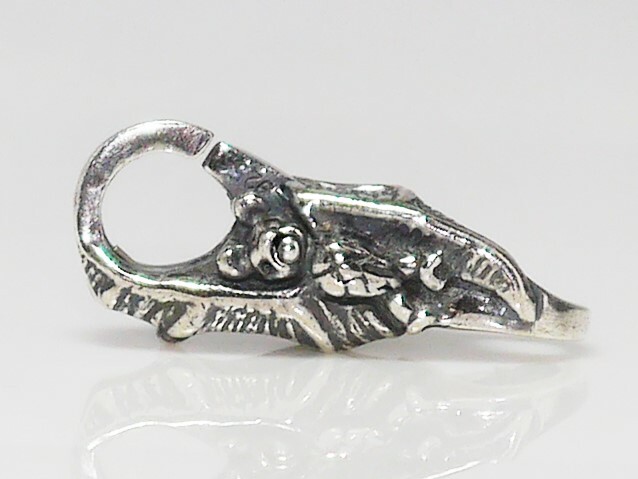 The Sleeping Bat goes straight onto my wish list, and whilst the lock for me would be quite seasonal, I think it would look amazing with my Trollbeads Skeleton Necklace!!! 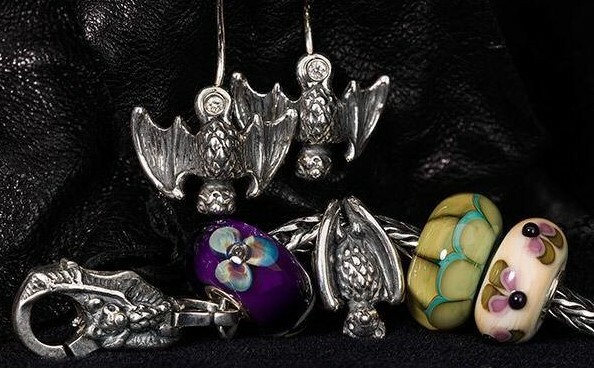 Personally the earrings are not for me, however I do think that they make a nice quirky addition to the set.